Kwame Dixon, assistant professor of African American studies in the College of Arts and Sciences, will discuss Afro-Brazil and the global struggle for human rights from 5:30-7:30 p.m., Thursday, Feb. 2, in 319 Sims Hall. The event, “The Afro-Brazilian Experience as a Model for 21st Century Pan Africanism,” is a program of the Africa Initiative, a Universitywide project that focuses on Africa as an important site of knowledge by highlighting related work by Syracuse University scholars. Dixon will talk about his book, “Afro-Politics and Civil Society in Salvador da Bahia” (University Press of Florida, 2016). He will examine 21st-century Pan Africanism by looking at how Afro-Brazilians have influenced politics and democratic institutions in Brazil. 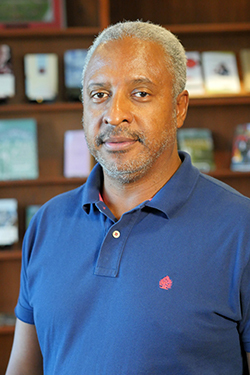 Dixon’s research focuses on social exclusion (racial and gender discrimination) in the context of international human rights, democracy and conflict resolution. His research on Latin America and the Caribbean examines how racialization and gender and other forms of social discrimination lead to human rights violations against at-risk populations. He is interested in ways in which excluded communities are integrated into the fabric of democratic structures across the Americas. 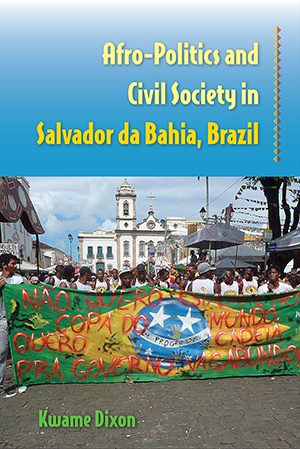 His book uses the city of Salvador da Bahia in Brazil as a case study to track the emergence of black civil society groups and their political projects. As Brazil transitioned from dictatorship to democracy in the 1980s, its black population worked to claim new citizenship rights, tested new anti-discrimination and affirmative action measures, reclaimed rural and urban land, and increased political representation. Dixon’s book is among the first to explore how Afro-Brazilians influenced politics and democratic institutions in the contemporary period. “Given Brazil’s strategic importance to the larger world economy, its status as a leading player in Latin America and its vibrant civil society and social movements, this new books provides insights into alternative ways of thinking about democracy and human rights,” Dixon says. After the lecture and question-and-answer session, a reception and book signing will be held in the Martin Luther King Jr. Memorial Library on the second floor of Sims Hall. Dixon’s book will be available for sale (cash only.) This event is free and open to the public. For more information, contact the Department of African American Studies at 315.443.4302. Creativity and Innovation of Syracuse University Professors to be Showcased at ACCelerate Festival April 5-7 in Washington, D.C.